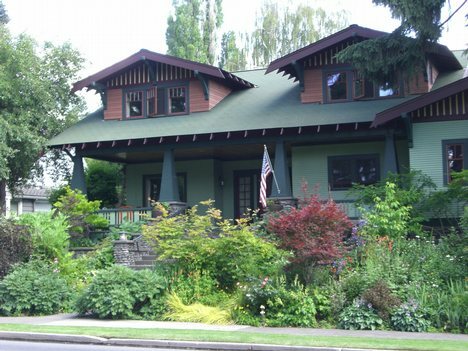 Among upscale neighborhoods in the Bend, Oregon area, Awbrey Butte is one of the finest. Luxurious homes and high-end amenities are complemented by the natural beauty and views that surround this oasis of homes. Homes in Awbrey Butte are reveled as some of the most high-end custom homes in the area. Residents love the high-end finishes, attention to detail, and true craftsmanship of homes in this area. Homes are all unique, but complement the overall feel for a cohesive look to the neighborhood. Home-sites are nestled atop Awbrey Butte, making the outside just as desirable as the inside. The views of and from Awbrey Butte are some of the best in Oregon. Mount Bachelor is on the southern side, while views of the Cascade Range pepper the north. Two expansive parks fill the scenery with more than just homes, and offer seating and areas for summer picnics. From tall, mature trees to lush, native landscape, the transition from home to wilderness is fluid and harmonious. Awbrey Butte is ideal for the social resident who enjoys gathering with friends. Because the feel of this community is close and comfortable, neighbors often congregate at one of the many country clubs, or enjoy local club meetings. The parks located in the community offer an additional option for gatherings with family and friends. For those looking to get out and mingle, Awbrey Butte is in the perfect central location. The secluded feel of this community is deceiving, and entertainment and restaurants are only moments away. Bend, Oregon offers concerts, festivals, and more in close proximity. Residents in Awbrey Butte easily enjoy a myriad of outdoor activities in and around the neighborhood. Kayaking, fishing, skiing and more are just some of the options for weekend fun. Parks in the neighborhood offer tennis courts with views of the Cascades, and room to hike and bike.The outdoor enthusiast will feel right at home.